Trains and buses arrive at the Liepāja train station. You won't find any lockers for your luggage, but the information centre in town will store your bags for a small fee. You can walk straight ahead down Rīgas iela and reach the centre of town in about 15 minutes or take a tram which stops next to the station. You can buy a €0.80 ticket from the driver or at newsstands and kiosks for €0.70. You can also purchase a 24-hour ticket for €2.50 or a ticket for 10 rides for €6.60. You must time stamp the ticket at one of the machines in the tram. The Latvian national carrier airBaltic offers direct flights between Liepāja and Riga three times per week. A cab ride from Liepāja Airport to the city centre takes around 15 minutes, but you can also take bus No.2 (€0.70 with a pre-paid ticket, €0.80 from the driver). Exit at the Koncertzāle stop for the hotels overlooking the canal or the Līva stop for the city centre and tourist information centre. 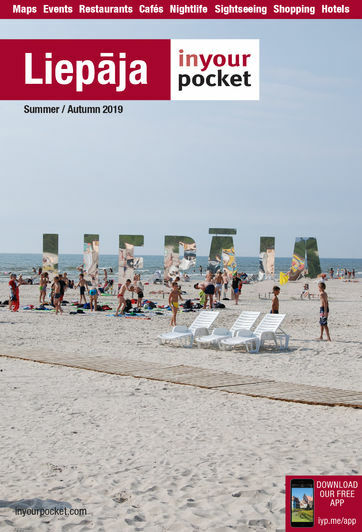 For more information on public transport in Liepāja visit www.liepajastransports.lv.